Which component of soil is made up of previously living materials? Organic matter is previously living material that has been broken down by decomposers. The correct answer is Organic Matter. Organic matter is previously living material that has been broken down by decomposers. Which component of soil absorbs the most water? Clay absorbs the most water, while sand is second and soil is third. The correct answer is Clay. Clay absorbs the most water, while sand is second and soil is third. What part of the flower is in charge of photosynthesis or making food? Leaves contain chloroplasts, which is where the process of photosynthesis occurs. The correct answer is Leaves. Leaves contain chloroplasts, which is where the process of photosynthesis occurs. What part of the flower contains the pollen? The anther is the part of the flower that contains the pollen needed for pollination. The correct answer is Anther. The anther is the part of the flower that contains the pollen needed for pollination. Which of the following do all plants NOT need? Although very beneficial in most plants, soil is not always needed. Hydroponics is a process of growing plants in only water. The correct answer is soil. Although very beneficial in most plants, soil is not always needed. Hydroponics is a process of growing plants in only water. What type of scientist studies living plants? 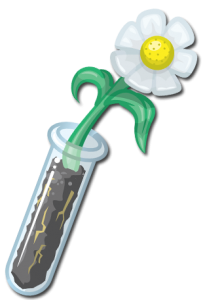 Botanists are the specific type of scientists that study all types of plants. The correct answer is Botanist. Botanists are the specific type of scientists that study all types of plants. What are the leaves called that people use to flavor their food? Herbs are leaves we use to flavor our food, while spices are usually from the seeds. The correct answer is Herbs. Herbs are leaves we use to flavor our food, while spices are usually from the seeds. What are the tiny tubes called inside the stem that bring water from the roots to the rest of the plant? Xylem are like little straws in the stem that carry water from the roots to the rest of the plant. Phloem carries food from the leaves down to the rest of the plant. The correct answer is Xylem. Xylem are like little straws in the stem that carry water from the roots to the rest of the plant. Phloem carries food from the leaves down to the rest of the plant. Which of the following does not help in the process of pollination? 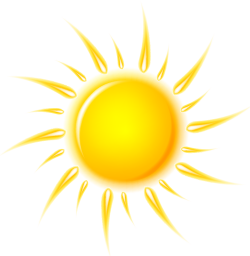 Sunlight is very important to help the plants make their energy. Insects, wind, and even water can help in the process of pollination. The correct answer is Sunlight. Sunlight is very important to help the plants make their energy. Insects, wind, and even water can help in the process of pollination. What is the process called in which plants change sunlight into food? Photosynthesis is the process in which plants create their own energy by changing sunlight. The correct answer is Photosynthesis. Photosynthesis is the process in which plants create their own energy by changing sunlight. What part of the plant goes into the ground to provide the plant stability and absorbs water for the plant? The correct answer is Roots. Plants give off what type of air that animals use to breathe? The correct answer is Oxygen. If you put an insect and a plant in airtight container, what can you expect to happen? They use and release different types of air, so they should continue to live. The plant will run out of air. The insect will run out of air. The correct answer is They use and release different types of air, so they should continue to live. Which part of the plant attracts insects to help with pollination? The correct answer is Flowers. How do plants get their energy? All plants get their energy from the sun. They absorb it out of the soil. They get it from their momma. The correct answer is All plants get their energy from the sun. Which of the following is NOT scientifically considered a fruit? The correct answer is Broccoli. What do most plants begin their life cycle as? What is the term used when a seed begins to grown? The correct answer is Germination. What environmental condition might diminish plant growth? The correct answer is Drought. What type of scientist studies motion? A physicist is a scientist that studies how things move, whereas a biologist studies living things and a chemist studies chemicals. The correct answer is a Physicist. A physicist is a scientist that studies how things move, whereas a biologist studies living things and a chemist studies chemicals. Who came up with the three laws of motion? 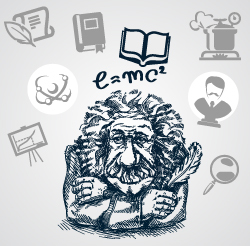 Sir Isaac Newton was considered one of the first physicists. He discovered gravity and came up with the three laws of motion. Which law of motion says that it is harder to move something with a larger mass? 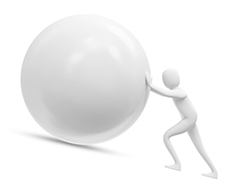 Law 2 states that the more mass something has the harder it is to move or stop it. Which law says that an object in motion will stay in motion unless another forces changes that? Law 1 is the law of inertia, stating that an object in motion wants to stay in motion and an object at rest wants to stay at rest unless acted upon by a force. What force made some of the carpet shoes harder to use than others? Friction made the shoes harder or easier to use. Rubber has more friction, so that shoe most likely felt harder to slide across the floor. If you put a marble in a test tube with sand, what is the “trick” to getting the marble to move? Shaking the friction tube up and down helped the marble move up the tube. Kara and Justin are comparing how far their toy cars will roll down slopes made of different materials. Which surface should allow the car to go the furthest? The correct answer is Concrete. When launching a water rocket, how much water would make the rocket shoot highest? The less water added to the rocket the higher it will go. If we had a lot of water, it would be adding too much mass. The correct answer is Less. The less water added to the rocket the higher it will go. If we had a lot of water, it would be adding too much mass. If you place a checker on your elbow and try to catch it with that same hand, what force do you need to beat in order to catch it before it hits the ground? As you move your elbow, gravity starts to pull down on the checker. In order to prevent it from falling, you had to be faster than gravity. The correct answer is Gravity. As you move your elbow, gravity starts to pull down on the checker. In order to prevent it from falling, you had to be faster than gravity. Which law of motion is demonstrated by the Newton’s Cradles? As you pull one marble up on the Newton’s Cradle, only one marble should move on the other side. This demonstrates the third law of motion stating that for every action there is an opposite and equal reaction. The correct answer is Law 3. As you pull one marble up on the Newton’s Cradle, only one marble should move on the other side. This demonstrates the third law of motion stating that for every action there is an opposite and equal reaction. If you roll a ball across a field that is 10 feet long and it takes 4 seconds to get to the other side, what can we expect if you roll the ball at a faster speed? The ball will get to the other side in a shorter amount of time. The ball will take longer to get to the other side. The ball won't make it to the other side. The gravitational pull will be different. The correct answer is The ball will get to the other side in a shorter amount of time. A push or pull is the definition of what? The correct answer is Force. Ashley and her brother were playing catch in the backyard. Her brother missed the ball and he asked why the ball stopped moving. Which of the following is NOT a reason the ball could have stopped moving? The correct answer is Speed. Why is it easier to slide your feet across ice than gravel? The correct answer is Less Friction. 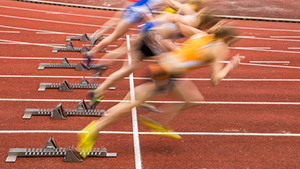 How can you measure the speed of an object? The correct answer is Measure the time the object takes to travel a specific distance. A heavy rock is on the ground in the middle of your yard. When will the rock move? When a force acts on the rock. When gravity starts pulling on it. When the gravity is gone. The correct answer is When a force acts on the rock. The correct answer is The force of gravity on an object. The amount of space an object takes up. The correct answer is The amount of matter in an object. What best describes an object that is moving will continue moving until acted upon by a force? The correct answer is Inertia. The correct answer is Motion. Which phase of matter does NOT like to change its size or shape? Which phase of matter likes to change its size AND shape? The correct answer is a Gas. Which of these is not matter? The correct answer is a Dream. The correct answer is a Liquid. 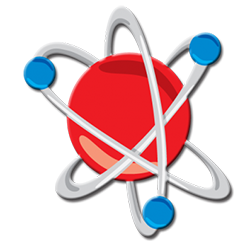 What small particles make up matter? The correct answer is Molecules. Which of the following does not have mass? Which of the following states of matter would not change shape if it was placed in a jar? The correct answer is Solid. Your class is making ice cream during an activity. Which of the following items would not have helped in the freezing process of the milk and cream liquid? The correct answer is Sugar. Why do we wear gloves in the winter when it gets cold? The correct answer is To prevent the heat in our hands from escaping. The correct answer is Burning Toast. What can I expect if I mix a liquid acid like vinegar and a solid base like baking soda in a sealed bag? The correct answer is The bag will expand because it will create a gas. You decide to help your family cook breakfast one weekend. Which of the following actions would be considered a chemical change? The correct answer is Making scrambled eggs. Your little brother asked what would happen if you placed a cup of water on the window sill for a week inside the kitchen. Instead of just telling him, you told him to try the experiment for himself. What should your brother expect to happen by the end of the week? The water evaporated into a gas. The water boiled and disappeared. More water collected in the glass. The water froze inside the glass and turned into a solid. The correct answer is The water evaporated into a gas. You took your ice cold water bottle outside for recess on a hot day. Before you even opened the water bottle, you noticed there was water collected on the side of your bottle. What is the best explanation of what is happening? The moisture in the air is collecting on the outside of the glass because of condensation. Your water bottle is sweating because it is so hot outside. Your water bottle is getting so hot that it is melting. The water inside your closed water bottle is starting to evaporate. The correct answer is The moisture in the air is collecting on the outside of the glass because of condensation. Scientist Craig has a glass of water and spills it in the hallway, what will the water do? The correct answer is Change its shape but not its size. Scientist Davis finds a rock outside that is as big as his fist. He brings it inside and puts it in a big bowl. What will the rock do? The correct answer is Not change its shape or size. Scientist CJ’s favorite smell is apple pie. Last time he cooked apple pie he trapped the smell into a container. He felt selfish for keeping it all for himself, so he took the cap off to share with his friends. When he takes the cap off what will happen with the gas? The correct answer is Change its shape and size. What would you have to add to solid ice to make it turn it into a liquid? When you take energy away from a gas and therefore turn it into a liquid, this process is called what? The correct answer is Condensation. 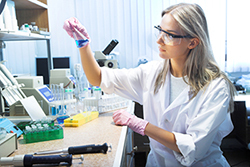 What is a scientist who studies the body called? Physiologists are scientists that study the human body, whereas veterinarians study animals and geologists study the earth. The correct answer is a Physiologist. Physiologists are scientists that study the human body, whereas veterinarians study animals and geologists study the earth. 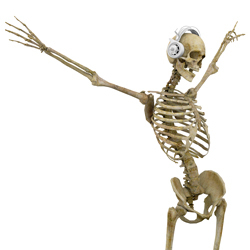 Which of the following does a skeleton not do? The nervous system is in charge of communicating with the body. 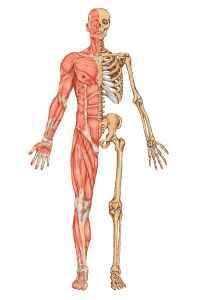 The three main functions of the skeletal system are protection, movement, and support. The correct answer is communicate with the body. The nervous system is in charge of communicating with the body. 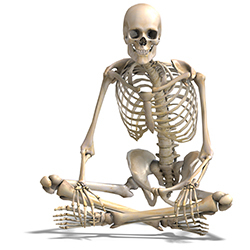 The three main functions of the skeletal system are protection, movement, and support. 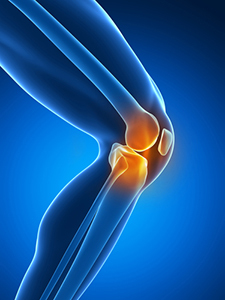 What type of joint do we have in our elbows and knees? Our elbows and knees have a hinge joint. The hinge joint moves in two directions just like the hinge on a door. The correct answer is a hinge joint. Our elbows and knees have a hinge joint. The hinge joint moves in two directions just like the hinge on a door. What is the scientific or medical name for the skull? 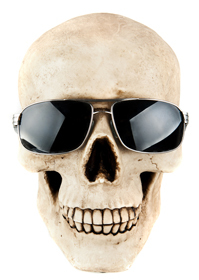 The scientific name for the skull is the cranium. What system is in charge of the senses? Your senses are part of your nervous system which is controlled by your brain and nerves. The correct answer is The Nervous System. 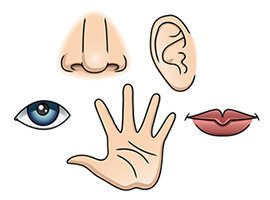 Your senses are part of your nervous system which is controlled by your brain and nerves. What is the human body’s largest organ? The largest organ in the body is the skin that covers our body. The correct answer is the skin. The largest organ in the body is the skin that covers our body. What part of the eye is in charge of letting in light? 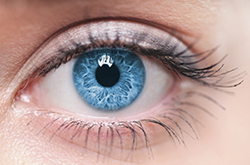 The pupil is gets larger and smaller depending on the amount of light going into our eyes. What part of a bone builds new blood cells? Inside of our bones we have a softer substance called bone marrow. Bone marrow is the area that makes new blood cells. Which body system moves blood through the body? 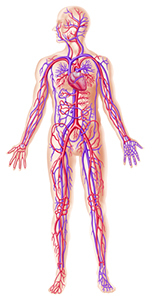 The circulatory system is a transporting system that delivers oxygen and nutrients to our cells through our blood. Which of the following organs is also a muscle? The heart is also a muscle, which is how it is able to pump blood throughout our body. Which of the following joints provide the widest range of movement? What is one of the functions of the skin? What provides information to your brain about external conditions? The correct answer is Nerve Receptors. What is connected to your bones to help them move? The correct answer is Muscles. The correct answer is 206. What is the hollow space in the middle of a bone filled with? The correct answer is Marrow. What is it called when your brain responds to a stimulus without having to think about it? 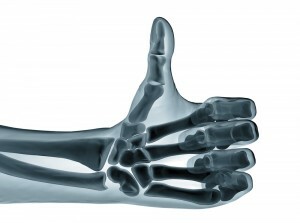 What strong flexible tissue holds bones to other bones to support the joints? The correct answer is Ligaments. What strong tissue connects muscles to bones? The correct answer is Tendons. The correct answer is Joints. What type of water makes up the ocean? All oceans are large areas of made up salt water. The correct answer is salt. All oceans are large areas of made up salt water. What type of water is in lakes and rivers? Lakes are rivers are examples of fresh water areas. The correct answer is Fresh. Lakes are rivers are examples of fresh water areas. What is a mixture of fresh and salt water called? Brackish water is an area where freshwater streams and rivers flow into the oceans, so it would be a mixture of both salt and freshwater. 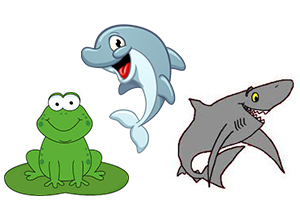 Which of these animals lives mostly in fresh water? Most frogs live in freshwater ecosystems because the saltwater would dry out their bodies. The correct answer is the frog. Most frogs live in freshwater ecosystems because the saltwater would dry out their bodies. In the stream table experiment, which erosional force moved the pepper (sediment) from the mountain lake down to the ocean? The flow of water down the mountain was strong enough to move the sediments towards the lower part of the mountain. The correct answer is Water. The flow of water down the mountain was strong enough to move the sediments towards the lower part of the mountain. 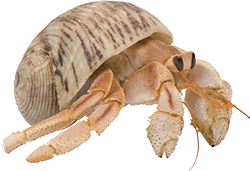 Which of these is NOT a coastal landform that you might have built for your hermit crabs? 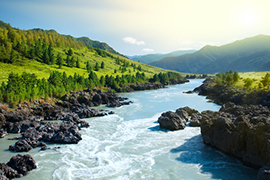 A canyon is formed when a river cuts through land, but is not found on the coast like a peninsula or volcanic island is. The correct answer is a Canyon. A canyon is formed when a river cuts through land, but is not found on the coast like a peninsula or volcanic island is. 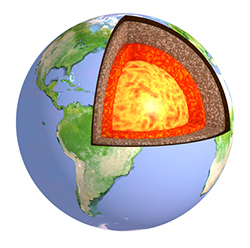 What is molten rock called when it is inside the earth? 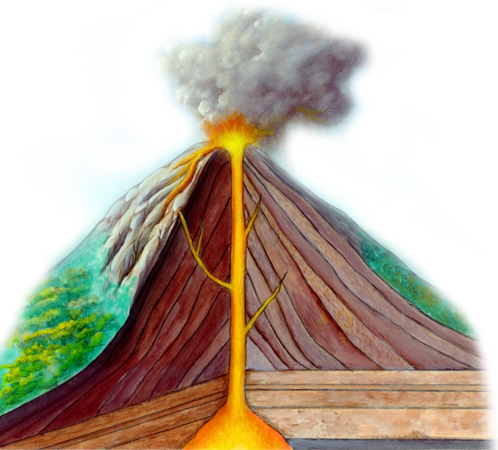 Magma is the name given to molten rock inside the Earth, lava is what it is called after it erupts. 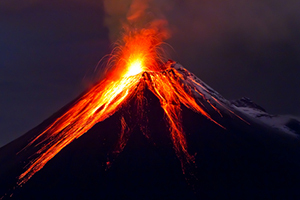 What is molten rock called once it erupts? Lava is molten rock after it erupts out of a volcano. Which of these could be caused by a river eroding the earth’s surface? As a river cuts through the Earth’s surface for over thousands of years, it can create a canyon. The correct answer is a Canyon. As a river cuts through the Earth’s surface for over thousands of years, it can create a canyon. Which of the following bodies of water cover the most area or space on Earth? What would be the best example of a body of water that contains saltwater? Which of the following states is made up of several islands? While on a trip to the beach you noticed several hills of sand that constantly changing and being blown around by the wind. What is this type of landform? The correct answer is Sand Dune. The Grand Canyon is an example of a landform that has narrow and steep valleys on both sides. What is the reason that canyons are formed? The correct answer is Rivers. What are large frozen blocks of ice called usually found near the poles? The correct answer is Glaciers. Most frogs are unable to handle the salty of certain types of water. Which of the following locations would you most likely NOT find a frog? The correct answer is Atlantic Ocean. Which landform is best described as a low area of land between two large hills or mountains? The correct answer is Valley. Landforms are found on what layer of the Earth? The correct answer is Crust. What is the majority of the Earth is covered with? What is the movement of solid particles of land by wind, water, ice, or gravity called? The correct answer is Erosion. Test your knowledge in the “Our Place in Space” Quiz! 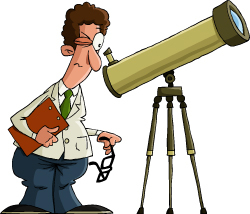 What type of scientist studies space from Earth? Astronomers study space from Earth using satellite images and calculations. Astronomers study space from Earth using satellite images and calculations. Which of these does not orbit something else? The sun is the center of our solar system, so all the planets orbit around it. Moon’s orbit around different planets. The correct answer is the Sun. The sun is the center of our solar system, so all the planets orbit around it. Moon’s orbit around different planets. Which of these rotates to create day and night? The earth makes a full rotation every 24 hours creating our days when the sun is shining on it and nights when it is facing away. The correct answer is Earth. The earth makes a full rotation every 24 hours creating our days when the sun is shining on it and nights when it is facing away. The sun is a star made mostly of hydrogen and helium. The correct answer is a Star. The sun is a star made mostly of hydrogen and helium. The sun is an average sized star and appears to be the biggest and brightest because it is the closest star to Earth. What do we call a group of stars that looks like a picture? A group of stars that creates one picture is called a constellation. Many constellations and solar systems are a part of the Milky Way. 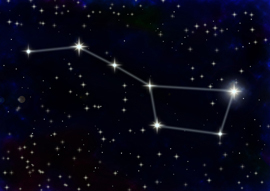 The correct answer is a Constellation. A group of stars that creates one picture is called a constellation. Many constellations and solar systems are a part of the Milky Way. Which of these is not a planet? Pluto was demoted to a dwarf planet back in 2006, because its lack of gravitational dominance in its area in space. The correct answer is Pluto. Pluto was demoted to a dwarf planet back in 2006, because its lack of gravitational dominance in its area in space. There are currently 8 planets in our solar system: Mercury, Venus, Earth, Mars, Jupiter, Saturn, Uranus, and Neptune. Pluto was changed to a dwarf planet in 2006. The correct answer is 8. There are currently 8 planets in our solar system: Mercury, Venus, Earth, Mars, Jupiter, Saturn, Uranus, and Neptune. Pluto was changed to a dwarf planet in 2006. What did people use to tell time before clocks and watches? People could use the movement of shadows to tell the time. The sun is in different parts of the sky at different times of the day which affects the length and position of shadows. The correct answer is Shadows. People could use the movement of shadows to tell the time. The sun is in different parts of the sky at different times of the day which affects the length and position of shadows. What position is the Earth from the sun? The correct answer is the Third planet from the sun. What are the objects called that orbit the sun? What time of day is your shadow the longest? The correct answer is Sunset. How is a shadow created? The correct answer is Objects blocking the path of light. The path an object takes as it revolves around another object in space is called____? 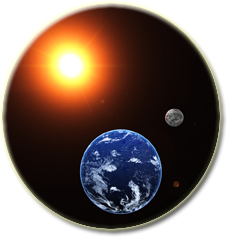 Which of the following makes Earth different from all other planets? The correct answer is Bodies of water on the surface. The sun and objects that orbit around it make up a ______? The correct answer is Solar System. How long does it take the Earth to make one full spin? The correct answer is 1 day. What time of day is your shadow from the sun the shortest?